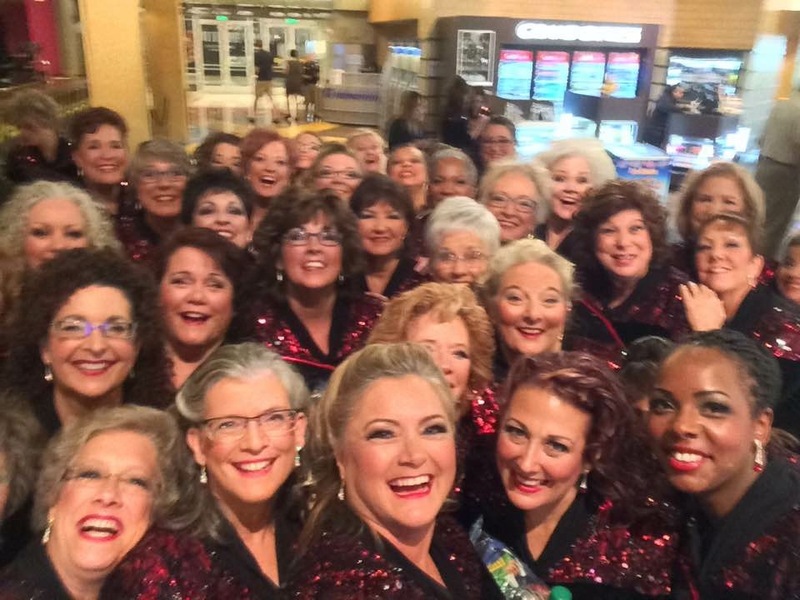 Metro Nasvhille Chorus earned the Harmony Achievement Award in the Sweet Adelines International Chorus Sem-Finals today. 34 choruses from around the world qualified to compete at the International level this year. On Thursday 11/20, each chorus performed two songs and were judged. Then top ten scoring choruses proceeded to the Finals. After the semi-final round, Sweet Adelines presents the Harmony Achievement Award to the highest score chorus below a specific number of voices. This year that limit was 61, and MNC (with 48 singers on stage) earned the Harmony Achievement Award this year for the third time. MNC did not qualify for the top 10 this year, but as 11th place finisher serves as the Mic Testing Chorus for the Finals, which allowed MNC to share their Finals Package.